There is little I prefer doing than blogging from my super cosy bed with my fairy lights on (they are in the shape of beach huts it’s amazing). I’m so glad I’ve finally managed some down-time… even if it is at half past ten on a Sunday night! Apologies for my sparse reviews, it really isn’t because I don’t love you all, it’s simply because life is pretty cray right now, but I promise to up my game sooner or later. It is in these times of desperation that I call on my favourite multi-tasking beauty products, and STEAMCREAM has got to be my favourite of all time. Now, I want to be clear upfront and say that I found out about STEAMCREAM by working with them, but I have just fallen in love. The ethos, ingredients and design are all right up my street, and I just can’t get enough. It’s also worth noting that I buy my own and all thoughts are 100% my own, too! STEAMCREAM (RRP £12.95) is a multi-purpose moisturiser for the hands, body and face, and gets its name from its unique method of creation. To make such a beautiful, lightweight cream, STEAMCREAM fuses its ingredients together with a shot of steam (hence the name), which helps to bind the glorious cocoa butter, rose absolute, lavender, neroli, sweet almond oil, orange flower water, jojoba oil, chamomile blue and oatmeal infusion together; keeping a ‘loose’ consistency to help the skin absorb the cream. As you can see, the cream packs some incredible natural ingredients into their adorable limited edition tins, making the formula super nutritious for your skin. STEAMCREAM makes a fantastic facial moisturiser, which is how I prefer to use the cream. I use a blob the size of my fingertip for my face and neck, and although for my picky skin there’s a risk of even this cream being a little heavy, if I use just a smidge then my face really, really loves it. Using it sparingly, my skin drinks it all up overnight, and I’m always left with a radiant glow in the morning. It’s such a great product for keeping your complexion even, and is perfect for all skin types, but sensitive/combination skin in particular as it helps to regulate the oil production of your skin. You can of course also use STEAMCREAM for your hands and body, for which it is fantastic, but is still a little heavy for lil’ old me. If you have really dry skin I would 100% recommend this, and it is fab for eczema or psoriasis suffers as the oatmeal infusion contains avenanthramides, which is a type of antibiotic produced by the ingredient which adds to the soothing, anti-inflammatory effect of the cream. One last thing about this cream that needs a mention is the packaging. You all must know by now that my love of packaging is out of control and costs me a lot of money, but STEAMCREAM is just a whole other story. 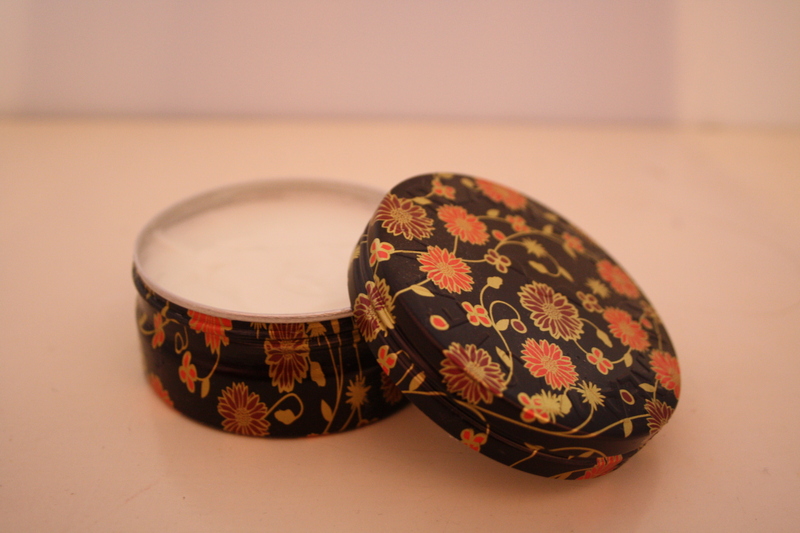 Each month STEAMCREAM bring out a host of new limited edition tin designs to take your fancy. From florals and star signs all the way to disney designs, there is definitely something for everyone. Just another reason that this wonder product is perfect for gifting. My favourite designs are Shu and Koku (pictured above), but there are a million and one I wish I could get my hands on… I just don’t think I could use the cream quick enough! The aluminium tins are absolutely perfect for re-using once they’re empty though, and I plan to use mine for hair clips and ties! Have you used STEAMCREAM before? What are your favourite designs?